The inaugural edition of this initiative recognizes both the extraordinary achievements and little sparks of beauty and delight that have emerged over the past 12 months. designboom and abitare magazine have collaborated with an international network of over 150 acclaimed professionals and presented a ‘longlist’ of more than 750 nominations across 10 award categories. celebrating a year of innovation in design, with champagne and live music by amp fiddler, songwriter and sound designer from detroit, the international gala award ceremony is taking place at teatro gerolamo, conceived in 1868. the ‘teatro’ was constructed with the intention of reproducing, on a smaller scale, the famous milanese scala theater. this jewel among the city’s monuments closed in 1983 and today — 33 years later — opens its doors again after a long refurbishment. 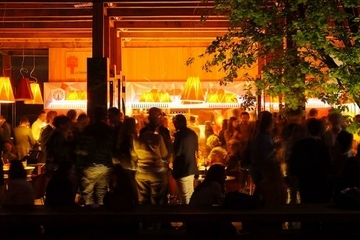 THE DESIGN PRIZE is energised by EDISON, one of the main energy providers in italy and europe. COS has collaborated with london-based Studio Swine on a multi-sensory installation set inside the characteristic cinema arti. Taking influence from the sakura festival of Japan, ‘new spring’ centers around a focal sculpture that emits mist-filled blossoms. These ephemeral objects burst and evaporate upon contact with skin, but exist momentarily when met with textured fabrics. 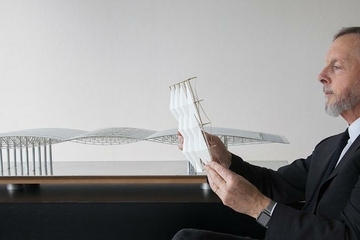 On Tuesday April 4th, internationally-acclaimed designer Philippe Starckwill takeover designboom’s instagram account to give our 1.1 million followers an exclusive guide through his day — as it happens. 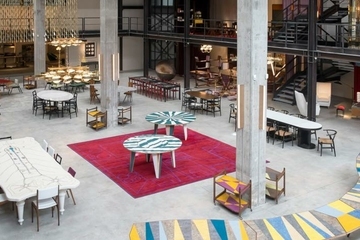 His first stop will be Salone del Mobile, the biggest and most important destination on the global design calendar. A LIVE Q&A will take place at 1:00PM, when starck will answer your questions directly from the fair. Have questions for him? Comment here! The week-long program displays the work of over 2,400 exhibitors in 14 halls, and welcomes more than 300,000 visitors from over 165 different countries. Highlights of this edition include: euroluce – an exhibition that showcases the new frontiers of lighting spaces; the workplace3.0 biennial — a visualization of the evolving workplace of the future set to reconfigure the theory and design of offices and work products; and salonesatellite – a show that unites the very best of new designers under the age of 35. Open to the public – with the participation of the jury: Paola Antonelli (senior curator, department of architecture and design at MoMA), Alice Rawsthorn (writes on design in the international new york times, and is a columnist on design for frieze), Birgit Lohmann (editor-in-chief designboom), Aric Chen (curator of art and design at M+ hong kong), Toyo Ito (2013 pritzker architecture prize laureate) and Yoshihiro Sawa (president of LEXUS international); shortlisted international designers and mentors : Elena Manferdini, Max Lamb, Snarkitecture, Rossana Hu (neri & hu). LEXUS has been present at milan design week since 2005, highlighting the brand’s long standing passion for design and innovation. This year, they have enlisted the cooperation of architect, designer and professor neri oxman of MIT media lab. An acclaimed creative pioneer, oxman is known for design innovation that is both inspired and informed by the natural world. Oxman’s vision of harmonizing nature and technology resonates strongly with the LEXUS ‘YET’ philosophy. Imagination, craftsmanship and design has always been a fundamental part of the LEXUS brand. To complement what will be an immersive and engaging experience, LEXUS will also showcase the work of the 12 LEXUS design award finalists with panel displays showing how they would apply the ‘YET’ philosophy in original and innovative ways. 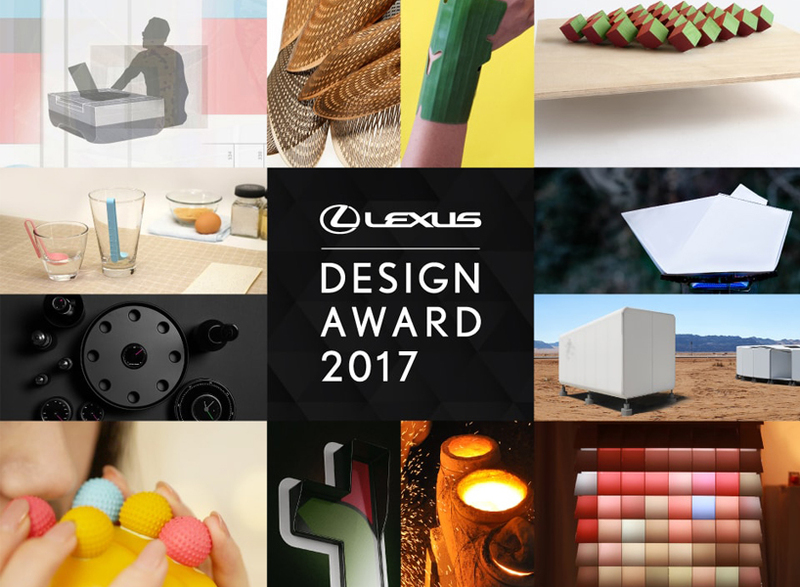 First launched in 2013, the LEXUS design award is an international design competition that targets up-and-coming creators from around the world, applications were received via designboom. 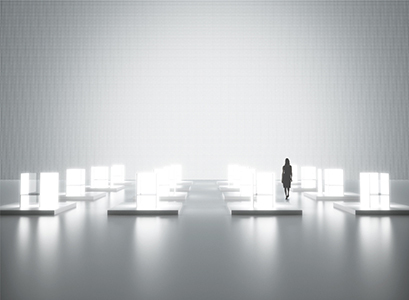 Located at superstudio piu in the Tortona District, TOKUJIN YOSHIOKA X LG : S.F_SENSES OF THE FUTURE will showcase a large-scale light installation by LG in collaboration with designer Tokujin Yoshioka. 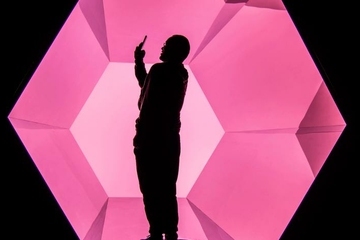 As the company’s first appearance at Milan Design Week, the light artwork aims to commemorate its 70th anniversary and highlighting its long-standing passion for design and innovation. 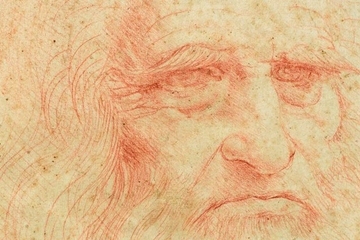 The outcome is a true vision of the future and will be filled with relatable excitement and imagination for all to see. Furthermore, it reinforces the brand’s mantra of pursuing ‘innovation for a better life’, which is dedicated to improving consumers’ quality of living through forward-thinking and technical advancement. LAUFEN: milestones. curated art show. what? Swiss bathroom specialist Laufen will showcase its rich heritage and future as part of the exhibition, ‘milestones. curated art show. what?’ at la posteria in the Brera Design District. 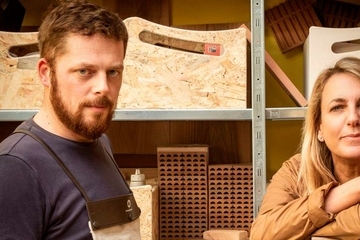 The event also marks the premiere of a short film that pays special tribute to all the skilled staff working at laufen. In addition, the company will display, for the first time, the third generation of saphirkeramik designed by Patricia Urquiola and an exclusive view of the new saphirkeramik collections by Konstantin Grcic, Toan Nguyen, Ludovica and Roberto Palomba and Peter Wirz. 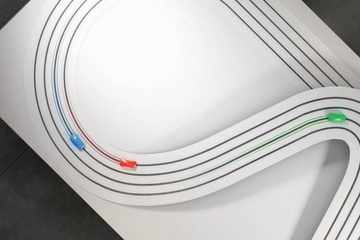 MINI has teamed up with new york-based architects SO-IL on the installation ‘mini living – breathe’. 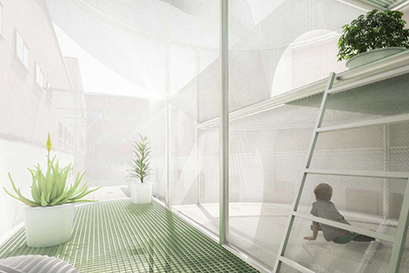 The work will be an innovative interpretation of resource-conscious urban living within a minimal physical footprint. In keeping with MINI’s adherence to the principles ‘creative use of space’ and ‘minimal footprint’, the installation conjures attractive living spaces for up to three people within an area just five meters wide and ten meters tall. Under the title ‘stone age folk’, spanish designer Jaime Hayon will useCaesarstone as a precious component of his whimsical universe inspired by fauna, the natural world, and folklore. Following a debut of limited-edition pieces at IDS Toronto, the year-long collaboration will be brought to milan, where fantasy blends with functionality, playfulness with craft and interactivity with cultural references. 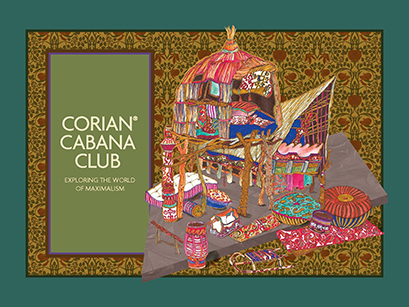 Corian® design surface and cabana magazine present the exhibition ‘corian® cabana club’, a multi-cultural and emotional journey into the world of maximalism. Developed in collaboration with Martino Berghinz Studio, the exhibition features art direction by cabana — under the guidance of creative director christoph radl and editor-in-chief martina mondadori sartogo. Personalities in the fields of fashion, decoration and design will conceive a series of scenes in the emotionally and sensorially rich style unique to cabana while using corian®. One year after the launch stefano giovannoni’s next generation design brand, Qeeboo resumes and reinterprets in a distinctive way the icons of our imagination. This year, Studio job will join the portfolio of designers to launch an umbrella stand, stool, lamp and planter. In addition giovannoni will present a floor lamp shaped like the iconic character- king kong. 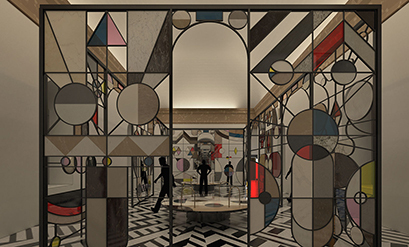 The new Fornasetti creations for Milan Design Week will be unveiled at their recently opened flagship store. The new pieces will be displayed inside their three-level store where inside, the space itself is worth visiting. The interior captures the fornasetti aesthetic and can be explored room by room, each one painted in a different color highlighting its contents like a treasure chest. 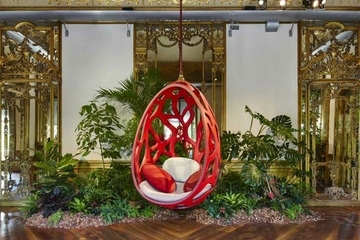 Spazio Rossana Orlandi is always one of the highlights of Milan Design Week. 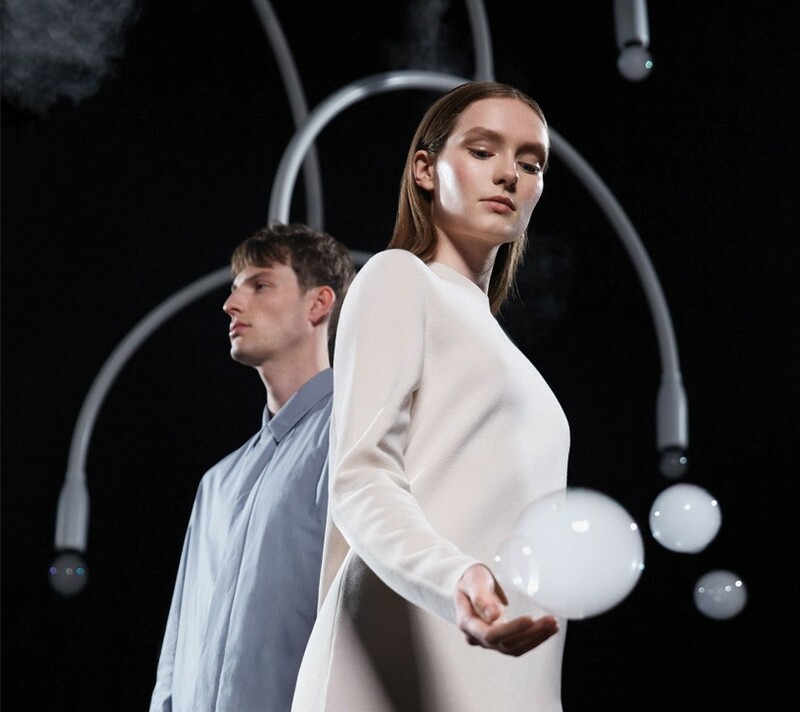 An unexpected mix of pieces — this year featuring designers such as Fernando Mastrangelo, Nacho Carbonell and Nika Zupanc, among others — will light up the gallery and generate an unmissable event. 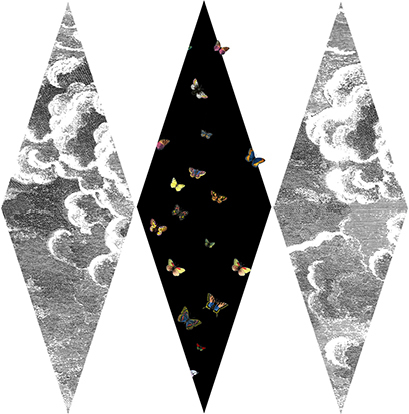 5 VIE art + design is a cultural association that has been drawing attention to milan’s old town since 2014, promoting the area with a strong brand identity and a selection of events to support it. This year the project will see the design pride 2017 parade, exhibitions by färg and blanche, Luca Cipelleti and Jasper Morrison for Schiffini, among others. 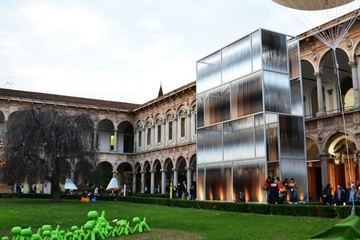 Brera Design District will mark its 8th edition this year. 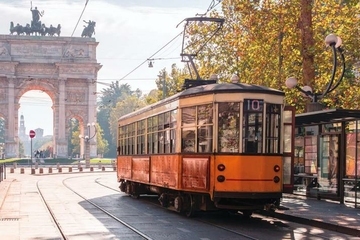 the brera district, business and creative hub of the city of milan, extends from the new area of porta nuova-gae aulenti to via broletto, from via legnano to via montenapoleone. this edition will showcase exhibitions by bang & olufsen, raw edges and dimore studio, among others. Nina yashar’s NILUFAR gallery presents ‘Joaquim Tenreiro Michael Anastassiades‘. The monographic exhibition is dedicated to the father of brazilian design – Joaquim Tenreiro — and is set in dialogue with a new installation ‘fontana amorosa’ by Michael Anastassiades. ‘Invisible Outlines’ will be nendo‘s investigation into the matter and relationship of ‘outlines’, examining concepts such as the internal and external. A total of 16 collections will be displayed, including the new installation ‘jellyfish vase’ — a collection of thirty vessels made in ultra-thin silicon floating gently in a large aquarium, like a school of jellyfish. Louis Vuitton continues their exploration into creative travel objects for its ‘objets nomades’ collection. Since 2011, over 20 designers have collaborated with the french fashion house, each interpreting the idea of travel using their own style. this year, two new pieces designed exclusively by India Mahdavi and Tokujin Yoshioka will be introduced. The 2017 edition of ‘a matter of perception’ will see Mosca Partners and DAMN° return to Palazzo Litta during Milan Design Week. This third edition will explore the theme of linking minds. In response to this concept, the courtyard of the palazzo will be interpreted this year by new york-based studio diller scofidio + renfro (DS+R). 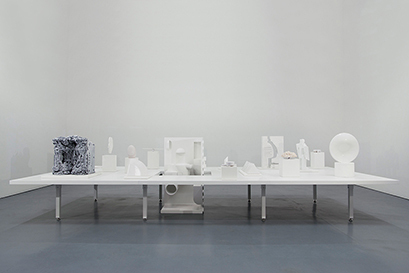 Called ‘foundation’, this exhibition by Formafantasma at spazio krizia presents a selection of light objects from the ‘delta collection’, as well as a series of experiments with light. 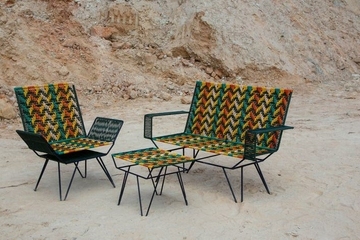 The show develops through different project phases, unique pieces, limited editions, and the first real collection of objects designed by the duo to be industrially produced. The new collection of the italian furniture company Sawaya & Moroni will see the unveiling of collaborations with Zaha Hadid, Ma Yangsong, MAD architects, Setsu + Shinobu ito and William Sawaya. 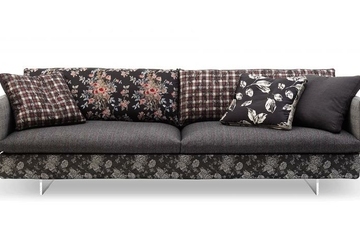 Pieces will be displayed in their showroom in the city center and also at the salone del mobile fairgrounds.